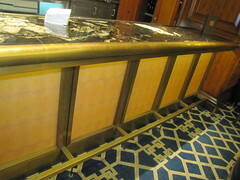 If you’ve been in the Ritz-Carlton’s Lobby Lounge, you’ve seen our work. 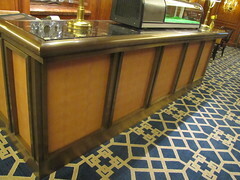 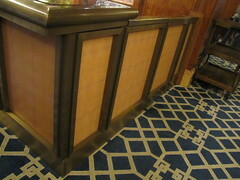 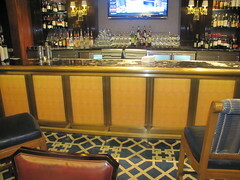 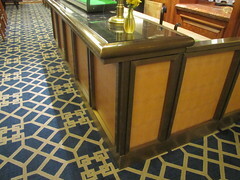 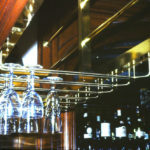 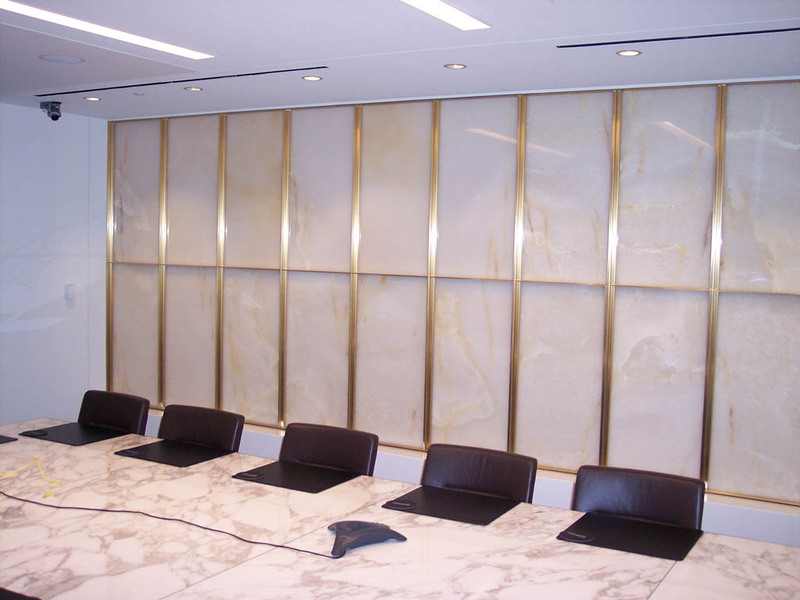 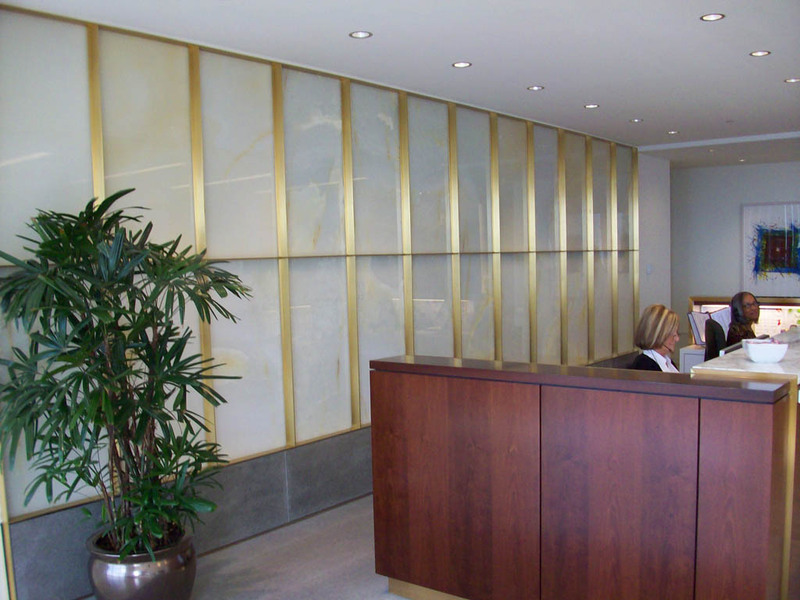 Foreman fabricated the antiqued bronze panel frames, bullnose, and foot rail on the bar front in the Lobby Lounge. 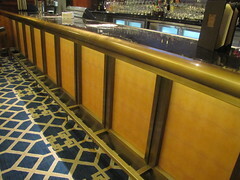 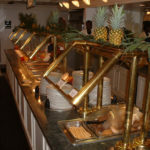 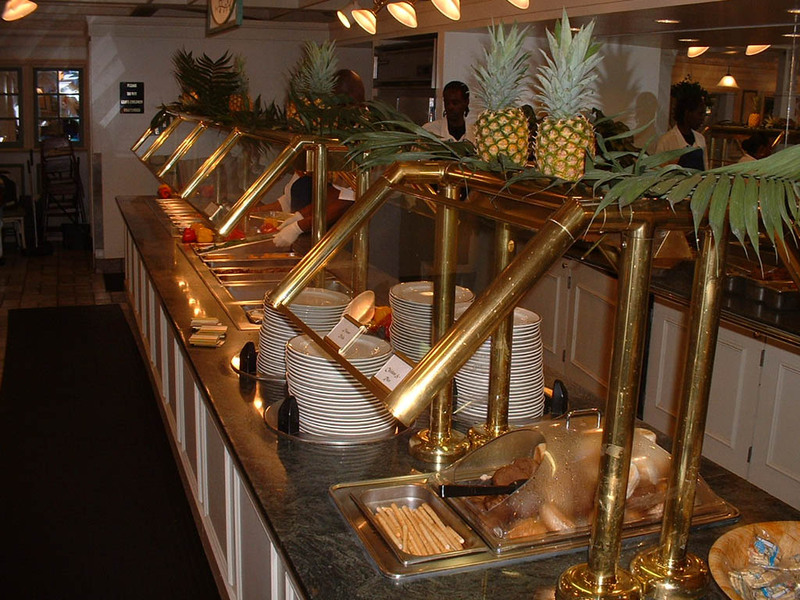 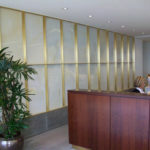 We also made the antiqued bronze panel frames and bullnose on the sushi bar. 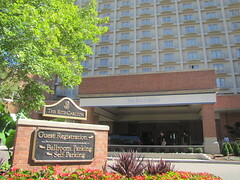 The Ritz-Carlton of St. Louis, located in the heart of Clayton, is thought to be one of the finest luxury hotels in St. Louis. 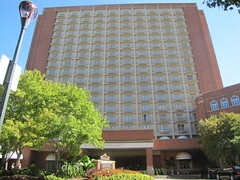 The hotel offers 300 guest rooms with views of the St. Louis skyline. 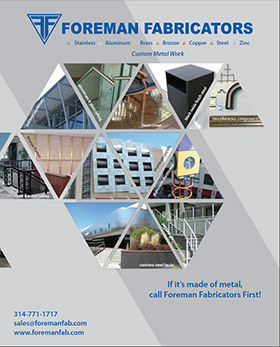 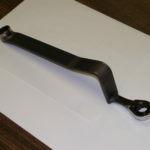 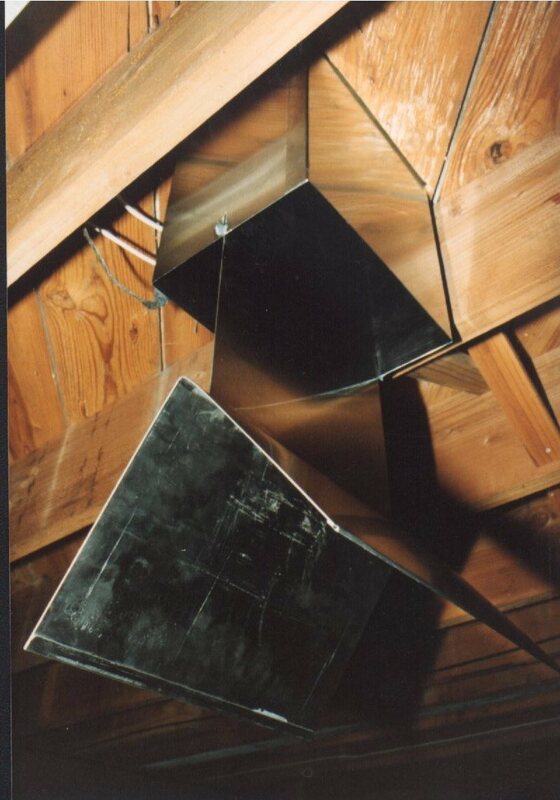 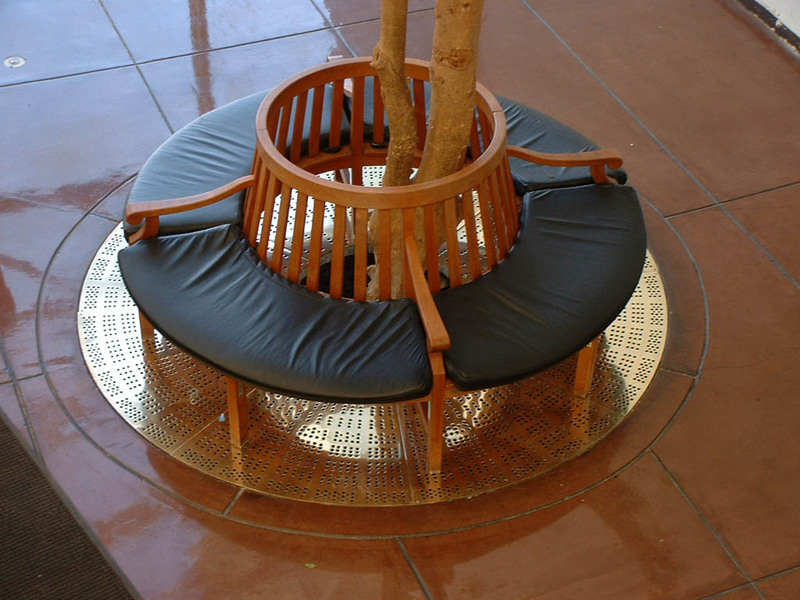 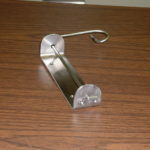 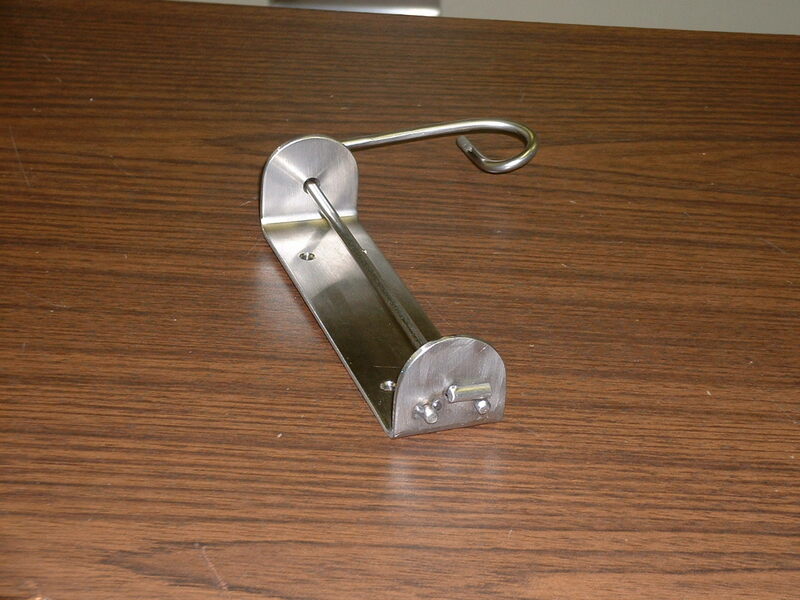 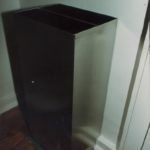 If it’s made of metal and you’re looking for a solution…Call Foreman Fabricators First! 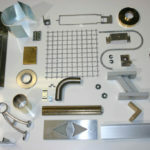 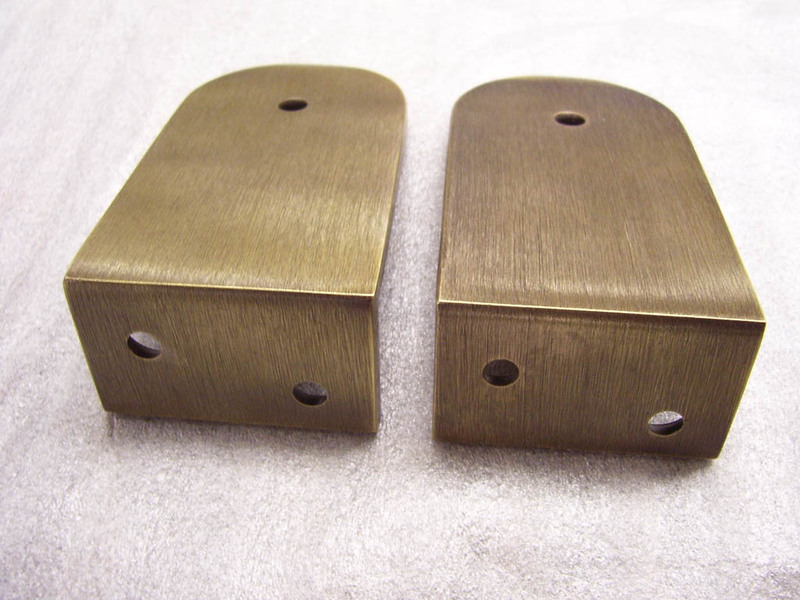 Brass and bronze are both alloys of copper. 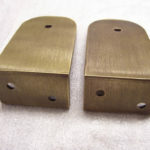 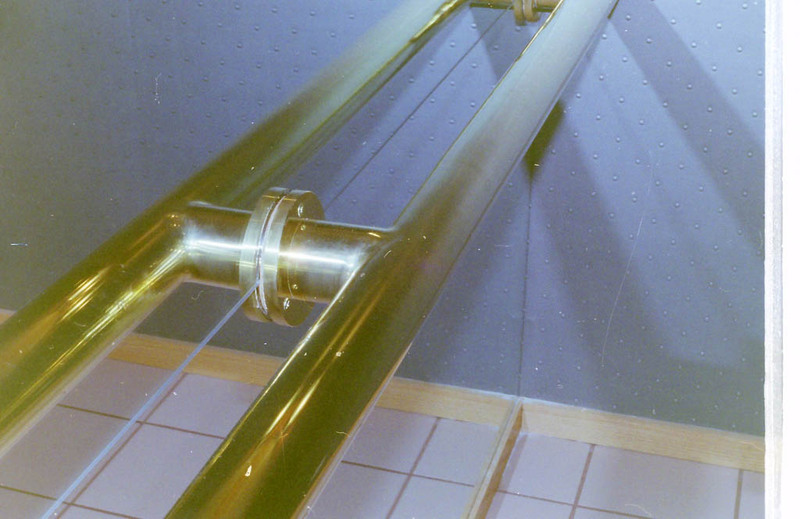 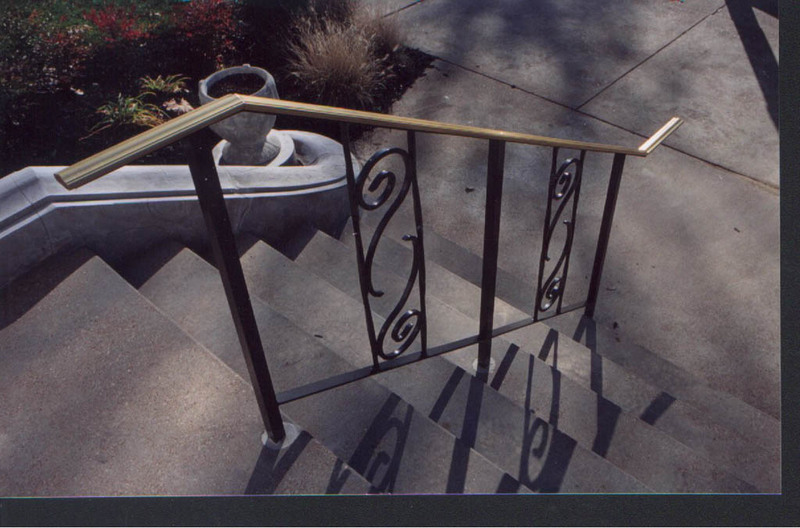 Brass is copper alloyed with zinc. 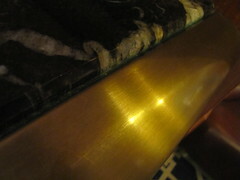 Bronze is copper alloyed with tin. 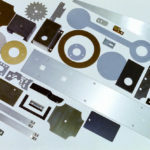 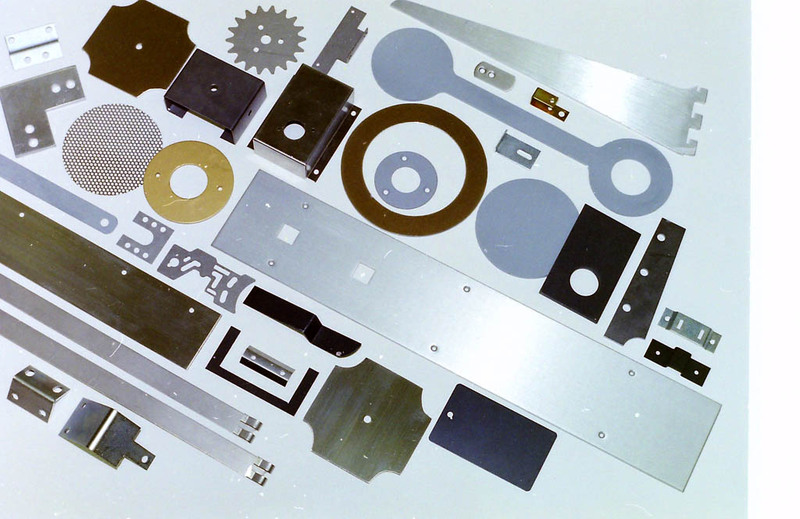 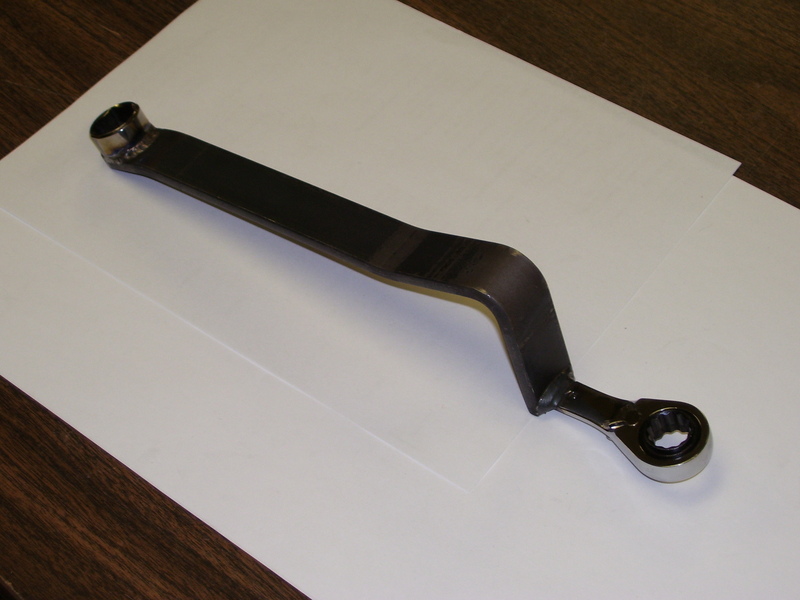 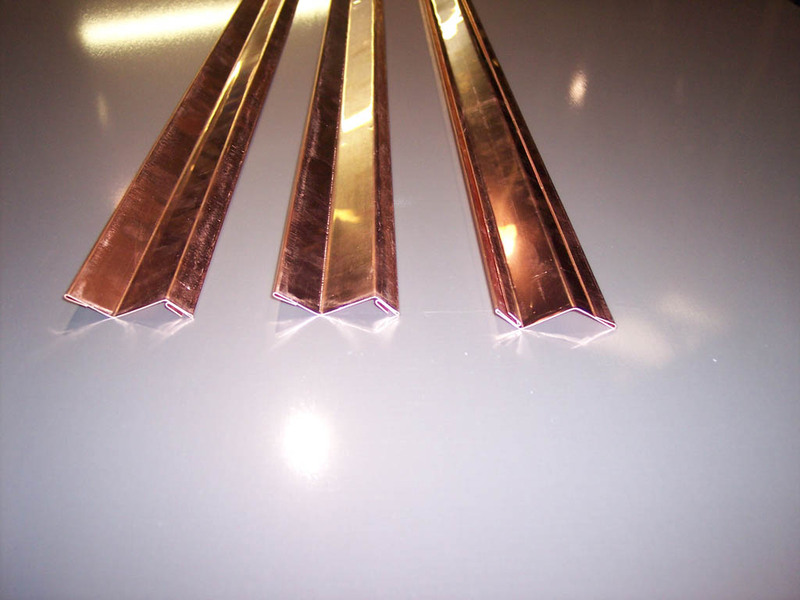 A variety of color variations are available dependent upon the ratio of copper versus the alloying elements. 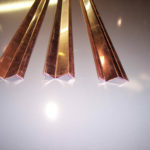 Valued for their beauty and durability, copper and bronze can be left with a natural finish that will age and vary as it ages, or it can be coated to protect against oxidation. 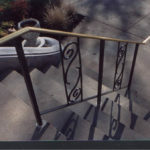 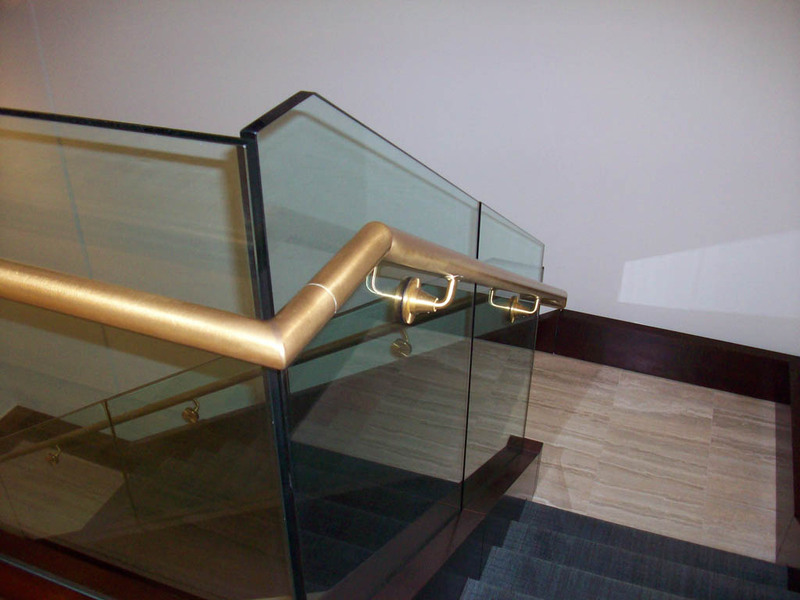 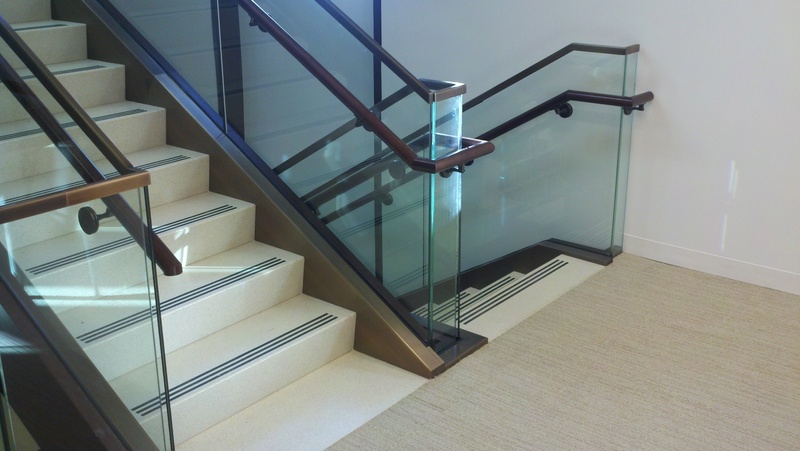 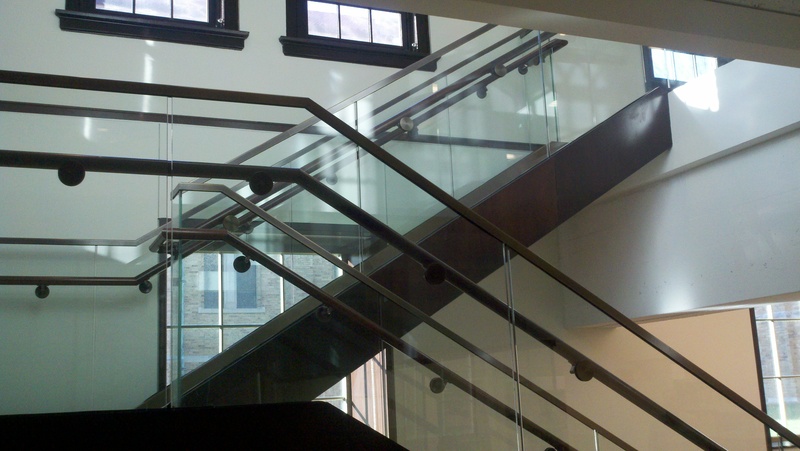 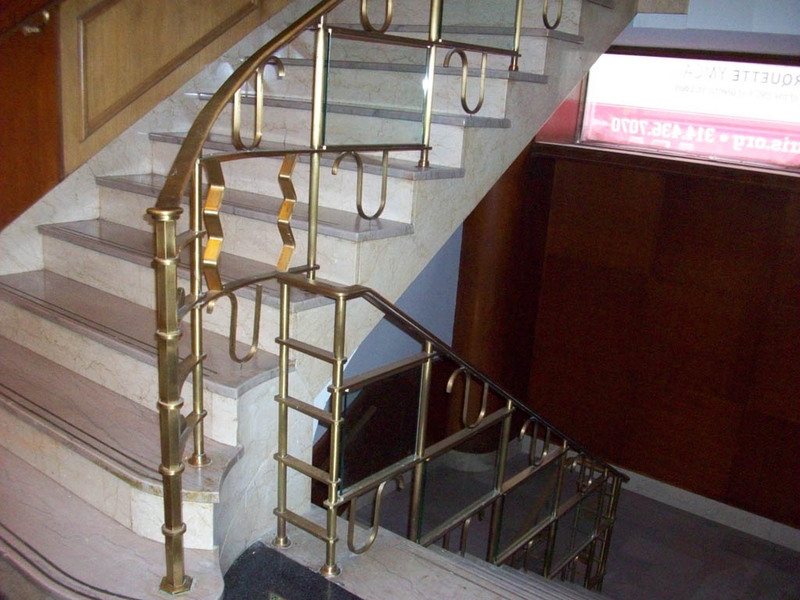 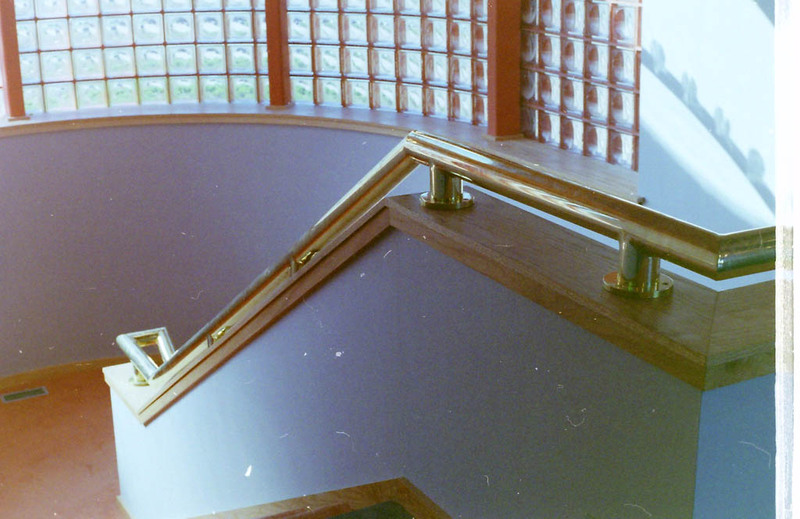 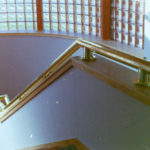 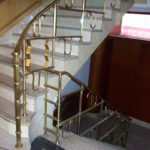 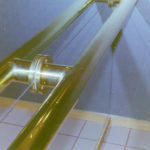 A construction project at Kenrick Glennon Seminary in Shrewsbury, Missouri, included an elegant architectural railing that incorporated materials such as antiqued bronze, glass, aluminum and wood. 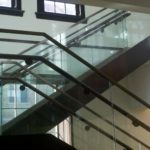 BSI Constructors was the general contractor, with project manager John Kenter overseeing the details of getting the railing fabricated and installed. 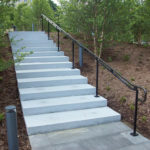 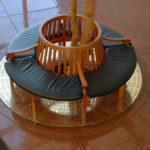 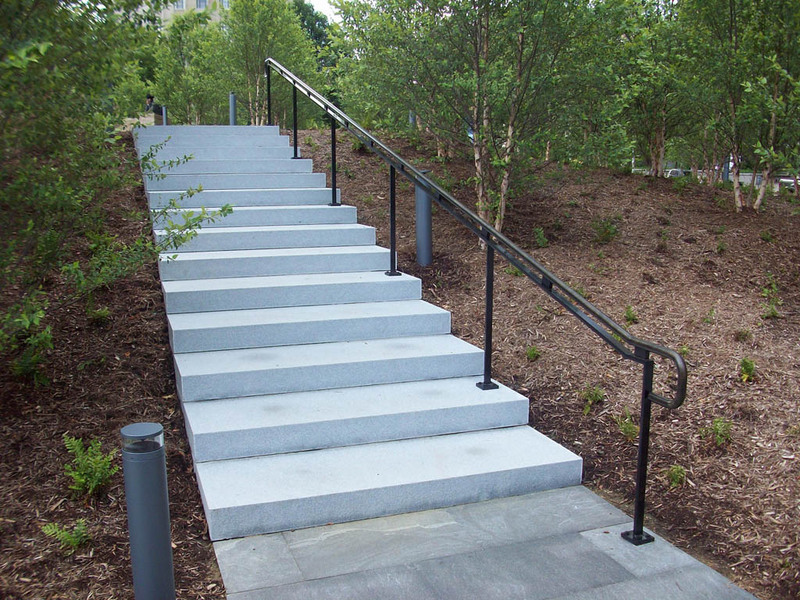 Canon Design provided the architectural drawings for the railing, and Foreman Fabricators was chosen for the fabrication. 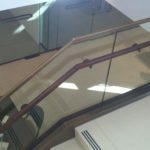 Foreman began by using specialized software to create a 3-dimensional model that allowed the architect and the general contractor to view the railing from any angle, so they could readily verify and approve the specifics of how the railing was to be fabricated. 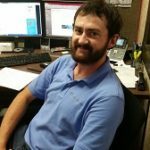 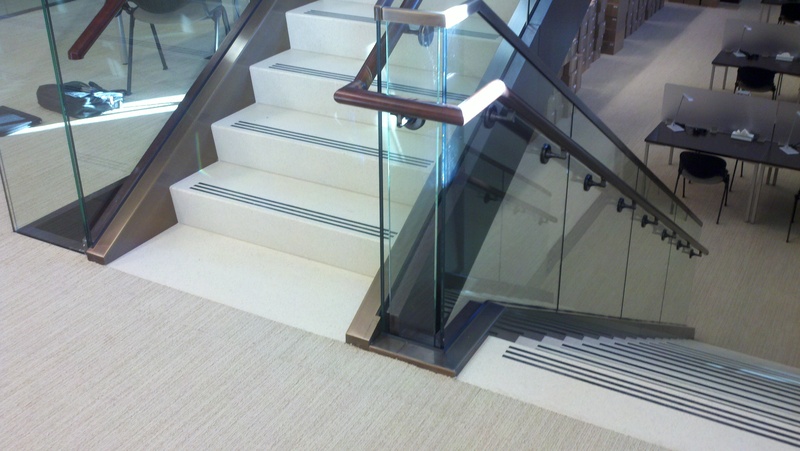 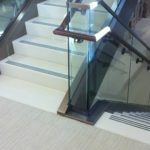 Once approved, Foreman did field measuring for the stair system to match actual field dimensions with the architectural design. 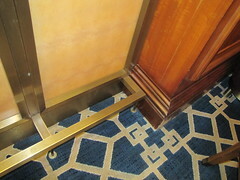 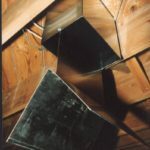 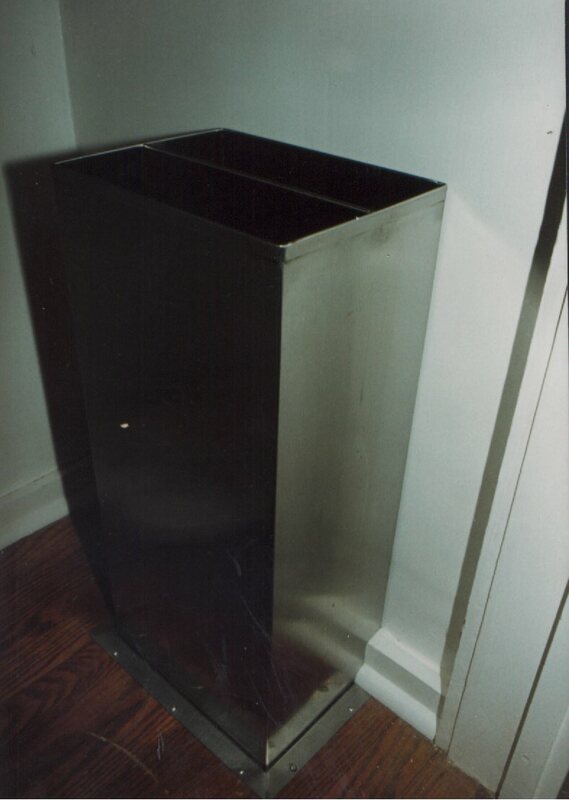 Aluminum shoes were used, and cladded with bronze that Foreman fabricated to spec from muntz metal sheet. 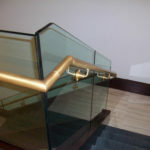 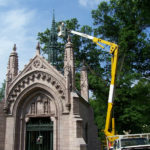 Foreman also custom made the top bronze cap from muntz, and provided the bronze brackets for the wooden grab rails, the antiquing on the bronze components and the glass panels for the infill. 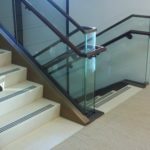 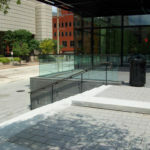 In the end, Foreman brought together all the critical metal and glass components the contractor needed to install the railing on site. 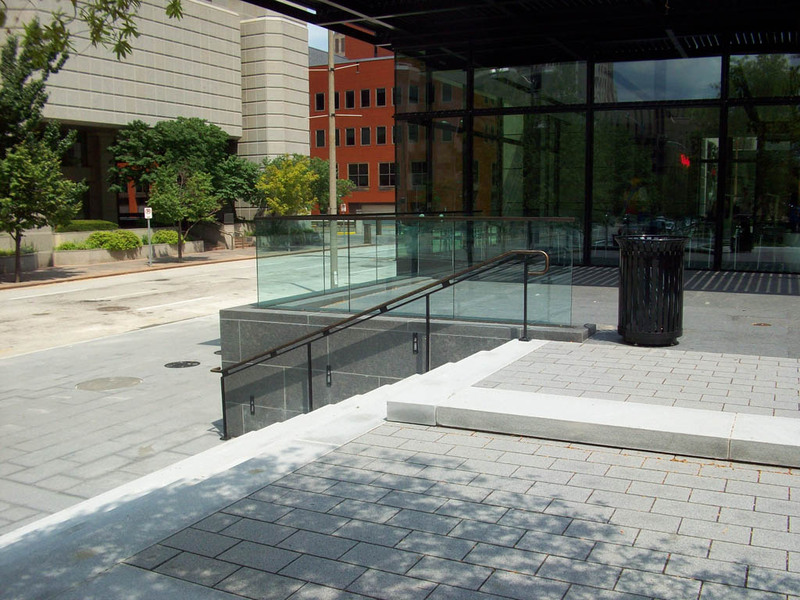 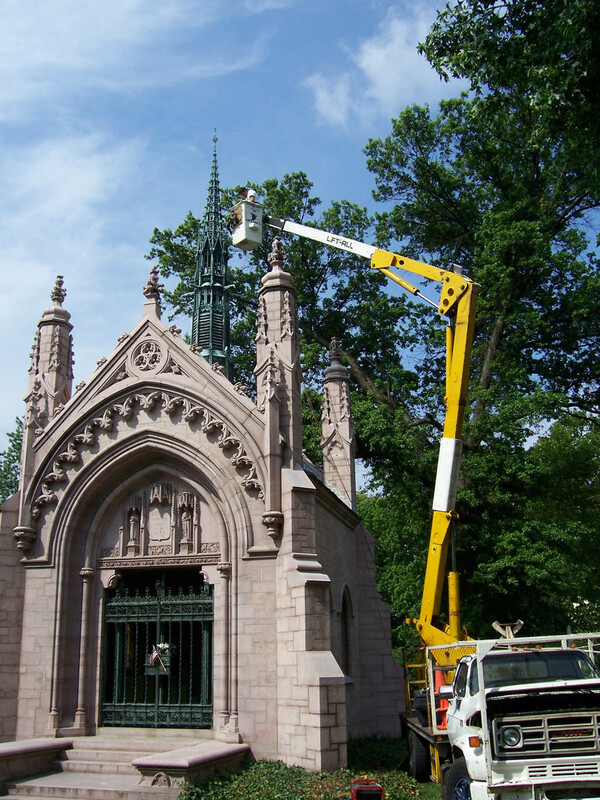 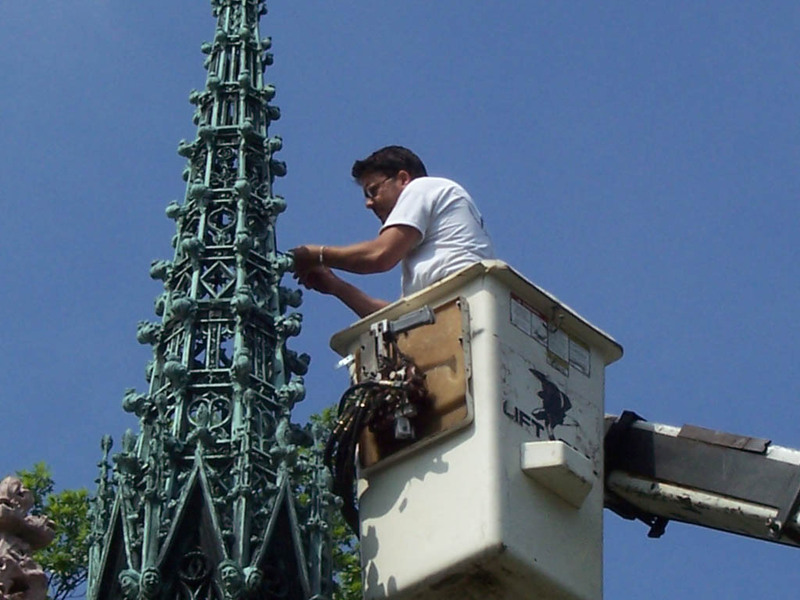 BSI Constructors had their own iron workers available, so they performed the installation, but Foreman’s team assisted BSI as needed along the way to ensure proper fits and to make any necessary adjustments to the provided materials. 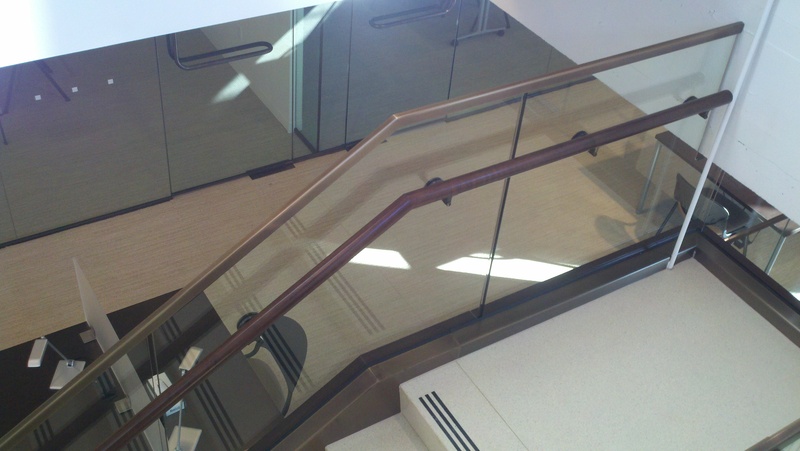 BSI’s team did a great job on the installation, and the end result is a beautiful and distinctive contemporary railing that will hold up to years of wear and tear.